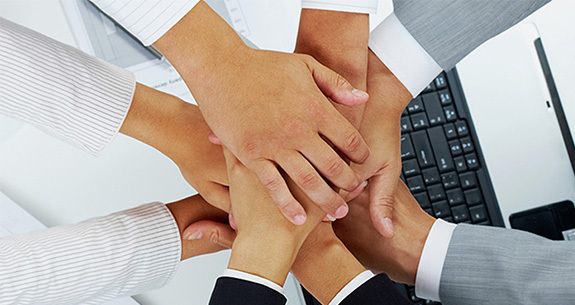 At GetRanked, we work together to bring success for you. We have a team of talented and hardworking individuals who strives to create a difference for you and your customers. All of our team members are experienced and graduates of distinguished universities. GetRanked has a wonderful team of creative designers who always bring an out of the box idea for our clients. Being adept in designing and creativity, our designers create an enchanting look for your website that reflects your corporate identity and communicate your core values. GetRanked is honored to have geeky developers who think logically to create business solutions that really work. Our developers are adept in various technology platforms and can create any solution whether it is related to task automation, data base maintenance or any other custom app. GetRanked has a special team of market researchers who always keep an eye on the changing trends and technology. Once we take your project, our market researchers perform a detailed analysis of your business and industry. Then our designers and developers conceptualize your website so as to make it exemplary one. To satisfy our customers with their social media needs, we have a team of social media marketers who knows exactly how to use social media to build brand, increase customer base and create customer loyalty. As per your business and industry, our social media marketers make the plan that really works. GetRanked is proud to have a team of SEO and internet marketing experts. Adept in on-page and off-Page optimization, our SEO experts have special expertise in skills and techniques that can even revive the websites hurt by Google penguin and panda updates. To ensure success of SEO and social media plans, we have a team of creative writers who effectively communicate your brand through their words. Our writers are hardworking and are always ready to adorn your website with their creative content. To make sure that each of your queries is answered appropriately and timely, we have a team of customer service representative who are available 24/7 to serve you.